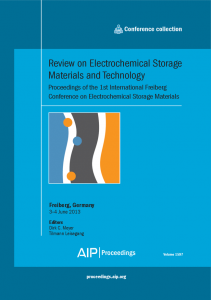 It is our great pleasure to announce the 3rd International Freiberg Conference on Electrochemical Storage Materials (ESTORM) scheduled from 12 – 14 June 2017 at the Technische Universität Bergakademie Freiberg, Germany, with which we wish to continue our conference series. While the first two ESTORM conferences in 2013 and 2015 shed light on new materials and concepts, with the 3rd conference we want to bring together stakeholders from research and industry to discuss the emerging field of solid electrolytes and all solid state batteries. Further key aspects are multivalent ion conductivity, aluminum based batteries and the roll-to-roll production process. We will be honored to welcome international experts from science and industry in the field of electrochemical energy storage in Freiberg. During these three days they will present highlights and latest research findings and will let us benefit from their profound knowledge. We look forward to welcoming you in Freiberg. 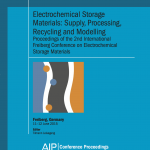 Here you can find a review of the 1st and 2nd International Freiberg Conference on Electrochemical Storage Materials as well as the corresponding Proceedings of 2013 and 2015.